A few steps from our luxury apartments in Barcelona, we find the Sant Andreu district, the former independent municipality that has managed to adapt to the greatest changes that Barcelona has undergone during its history without losing its essence as a town. In fact, the oldest neighbors continue talking about Barcelona as if it were a separate city. If you want to spend a day walking around the most unknown neighborhoods, we invite you to read this guide on things to do in Sant Andreu, Barcelona, and discover its most charming corners. Testimony of the industrialization that was lived in Catalonia in the 19th century, the Fabra i Coats factory was built between 1910 and 1920 as part of the Coats Fabra SA complex, which belonged to a threads and fabrics manufacturer, that was in operation until the 70s. The Cultural Institute of Barcelona rescued the building in 2008 as a space for artistic creation and is nowadays a reference for the performing arts. Do not miss one of the most important events in Barcelona for audiovisual arts and electronic music, Mira festival, which is held here in autumn. 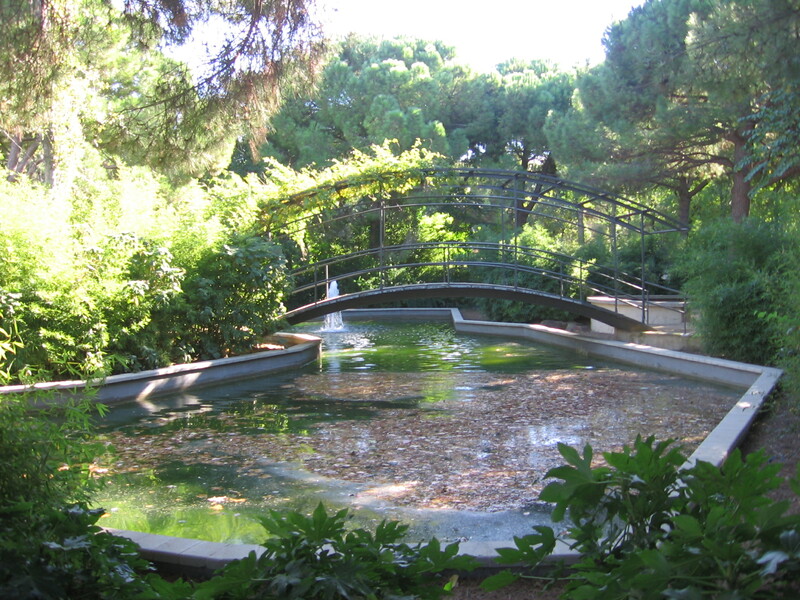 Especially if you visit Barcelona with children, this park offers a pleasant walk full of aromas. One of the best places to see in Sant Andreu is this location where the ENASA truck factory was located, creator of the popular Pegaso trucks. Nowadays, what still stands is the gateway that welcomed the workers every morning. Here there are many references to it, especially in the circular square where you can see the winged Pegasus horse that was ENASA’s emblem. Black poplars and a large lake with a couple of bridges complete the Pegaso Park, one of the most iconic sites in the neighborhood. It was the main square of the old municipality of Sant Andreu de Palomar, full name of what is now a neighborhood of Barcelona. Here stand several neoclassical buildings where you will find numerous bars to drink vermouth on Sundays, as it is still the heart of the neighborhood life. 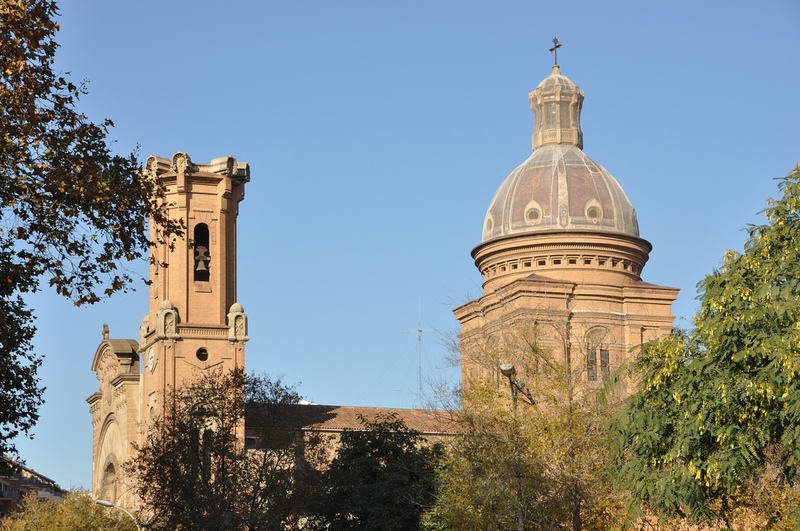 If you are wondering about things to do in Sant Andreu, at this point you will find your first stop, since this is where the subway exit is located. You will also find the church of Sant Andreu del Palomar, a neo-Gothic building erected on top of an old construction from the 10th century. Located on Avinguda Meridiana, this building is an architectural heritage site of the city thanks to the structure with hanging sunshades that earned architects Bonet and Puig Torné the FAD prize for architecture. Built in the 60s and created as a greyhound track, today it is a hub dedicated to creative research, and is now open to the city with the old viewpoint benches hanging in front of a park where children can play. The bridge of Bac de Roda is better known by the name of its architect. 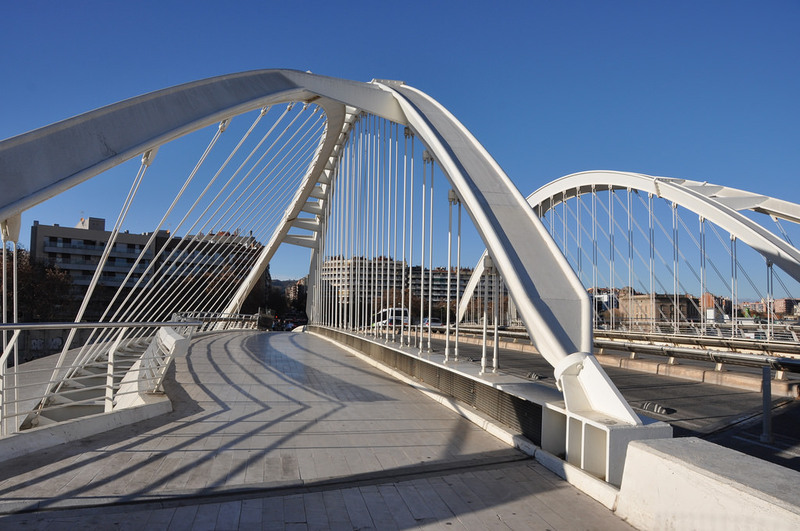 Uniting the districts of Sant Andreu and Sant Martí, this bridge built in 1987 is one of the symbols of the changes suffered in the district during the preparations for the Olympic Games of Barcelona 1992. Built between 1876 and 1881 by architect Joan Torras Guardiola, here you can see an unknown piece of Gaudí art in Barcelona, created when the architect was just an apprentice. It is a mosaic that is in the middle of the corridor and was the only piece by Gaudí that was saved after the church was sacked during the tragic week of 1909. Here we present two authentic places where you can stop for a drink. The first is a beautiful modernist bar with all the furniture that has been kept practically intact. Travel to the early twentieth century and drink a vermouth, try the delicious Versalles ham croquettes on the rectangular bar to admire the splendor of this centennial place. The second is bar Colombia, which opened in 1913 and also retains a large part of its charm. Much more intimate and personal than the first, in this place you can always enjoy a musical thread that features jazz and swing. 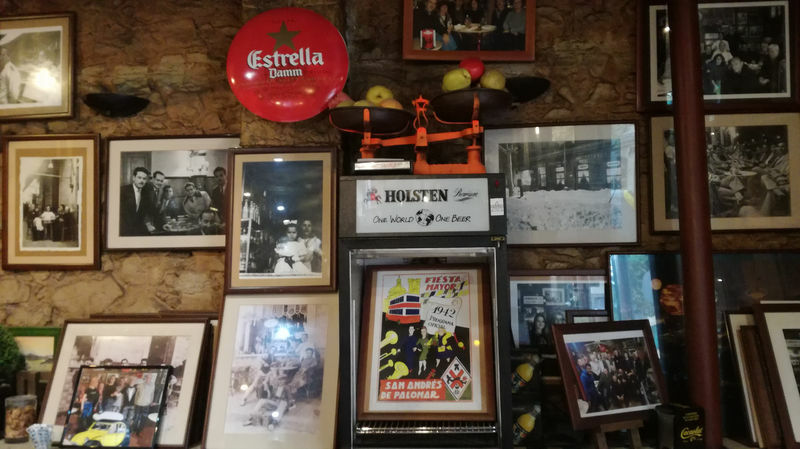 A chat with friends in the middle of the morning is a perfect context to get to know this bar full of memories that fill the walls with more than 100 years of history. Designed by the GATPAC architect association, the so-called Casa Bloc (Block House in English) is one of the greatest examples of Catalan rationalist architecture. Designed in the shape of an ‘S’ so that all the rooms had natural light, it was a work commissioned by the Republican Catalan government to provide accommodation for the poorer workers in the area. However, with the arrival of the fascist regime, they were allocated to house military men and their families. Nowadays, one of the things to do in Sant Andreu is visit the house-museum called Vivienda 1/11, where you can discover what the flats in this block looked like in the 30s. 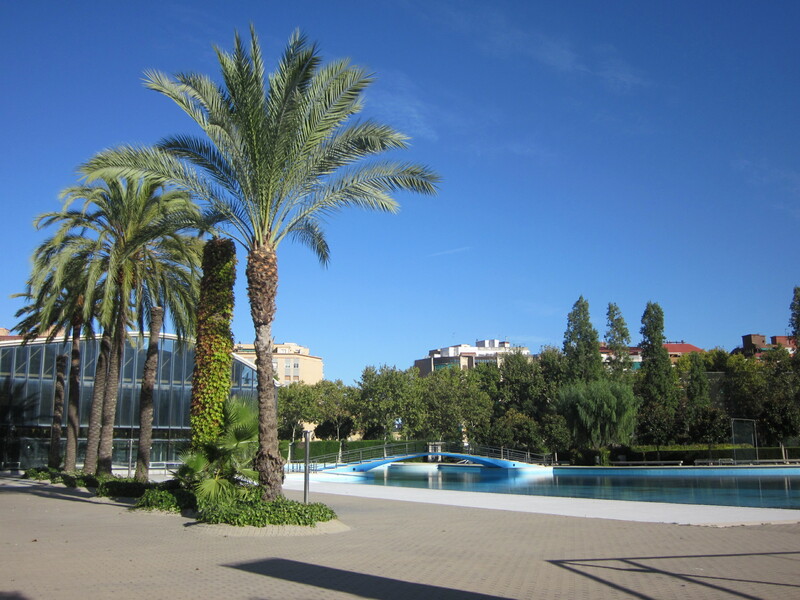 Right next to Avinguda Meridiana there are 12 hectares of trees and mounts, the ideal place to go for a walk or a run. Its name comes from 1714, year in which the Bourbon troops besieging the city of Barcelona and stayed in this place. As the military were ten nicknamed ‘dragons’, the farmhouse in which they stayed was renamed Can Dragó, or ‘house of the dragon’, a name that passed the test of time and finally baptized this park. This is also where one of the best pools in Barcelona is, a perfect place to cool off on a hot day. Although it does not belong to the district of Sant Andreu (it is just a few steps away), it is worth a visit. In the neighboring neighborhood of Sagrera, still in the district of Sant Andreu, there are two ideal corners for creation that you cannot miss. 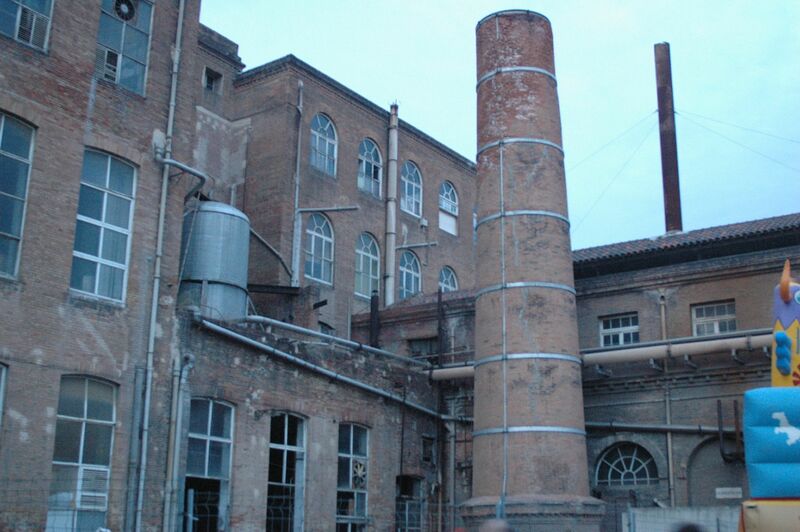 The first, Nau Ivanow, formerly housed the homonymous paint factory. Since 1998, the neighborhood has welcomed it as a space for creation. You can currently enjoy experimental theater plays in the Andy Warhol room. 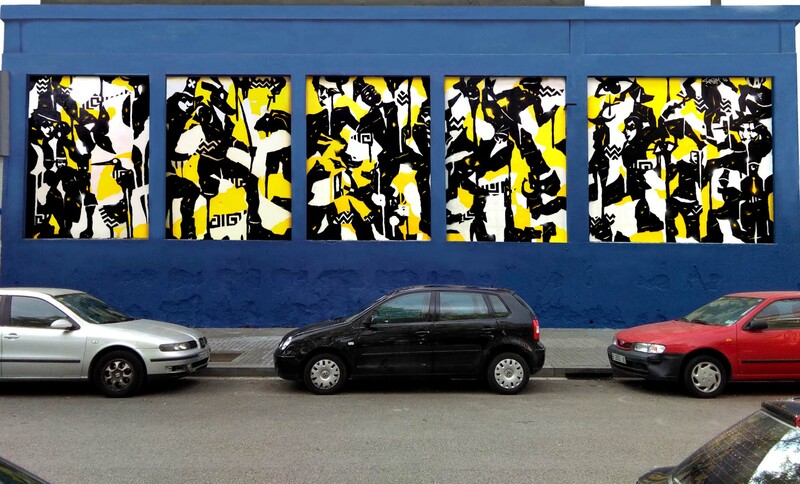 The second is a reference in the cultural activity of the district, with concerts, art exhibitions and markets of all kinds, here you will always find something to do. Go to Nau Bostik’s website or social networks to know what events will be held this week in the venue. As you may know, all the neighborhoods of Barcelona have their own celebrations. In the case of Sant Andreu de Palomar’s festa major, one of the most important acts is the Esclat Andreuenc, which is held every year on the first Saturday of December, consisting of a celebration in which giants, and trabucaires dance in a parade under the sound of gralles (Catalan instrument from the shawm family) to show the neighborhood each of the popular customs of this ancient town. Therefore, this is a good option if you visit Barcelona in autumn. Another of the most celebrated events in the neighborhood are the Tres Tombs de Sant Andreu. Although the most famous in Barcelona are those of Sant Antoni, this traditional festival that celebrates the patron saint of animals fills Sant Andreu with carriages, music and horses, which reach Plaça Orfila to be blessed, as are many of the neighborhood pets. Now that you know more about things to do in Sant Andreu, Barcelona, take a tour of the neighborhood and leave us a comment explaining what you liked most about it.